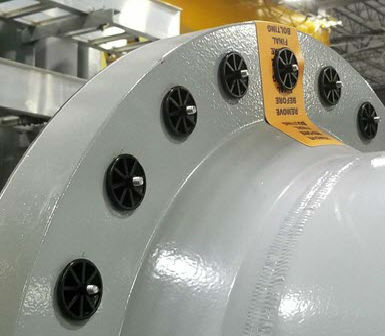 Preserving flange faces is a vital but challenging task that many in the oil and gas industry face. 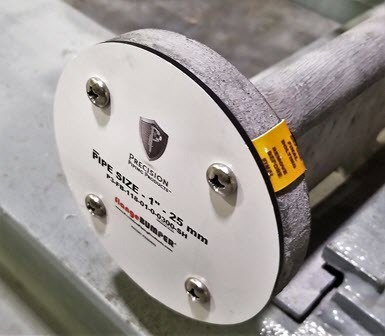 Flange preservation has become increasingly more important to companies, and we here at Precision Piping Products have been at the forefront of developing ways to achieve preservation goals without missing budget goals. 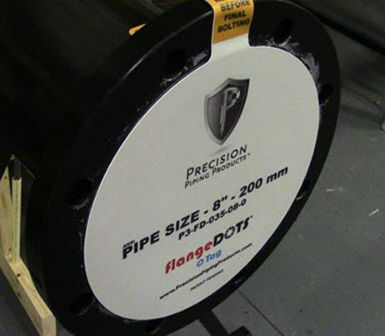 We have developed a flange preservation system that has no equal. Our system rivals a blind flange without the unnecessary costs, weight, and hassle associated with them. When implemented properly, our customers have seen 99% reductions on damaged flanges compared with their previous methods. This reduction in damaged flanges prevents expensive resurfacing costs, but even more importantly, it reduces costly and unforeseen delays. Start saving time, saving money, and preventing delays with the help of Precision Piping Products. This system results in an air-tight, water-tight seal that is proven to protect the critical surface areas of your pipe spools, vessels, valves and equipment against any weather condition. It also seals the interiors of those items, preventing your corrosion inhibitors from escaping, and does not allow outside air and moisture to get inside to do unseen damage. Precision Piping Products has a proven track record in the short and long-term preservation of critical surface areas, such as flange faces. Let Precision Piping Products help you preserve your project assets today! The results are staggering!